An urban environment on a deco picture ! This photo picture will perfectly fit in a contemporary environment ! 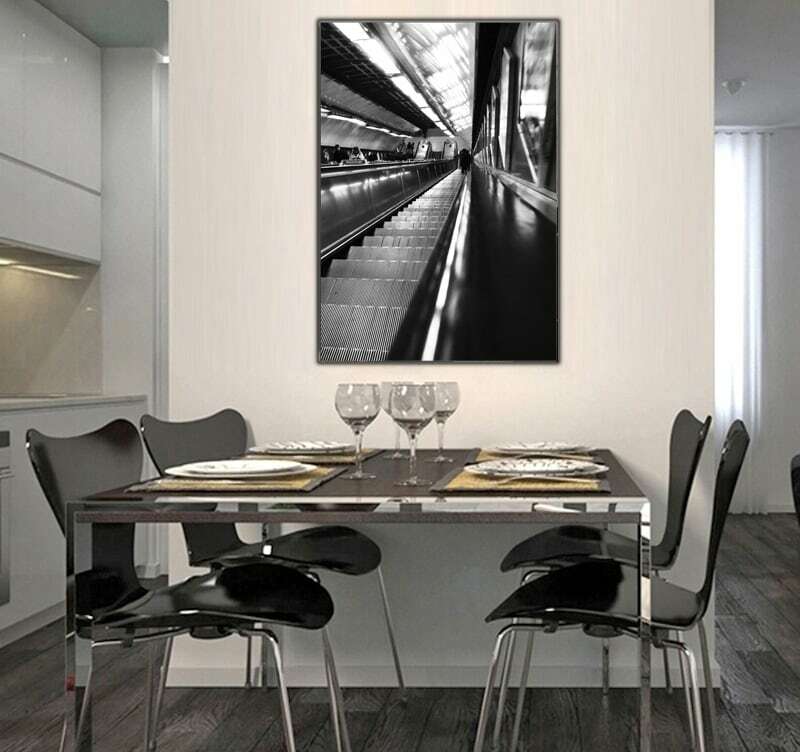 This design art photo is in a 200-piece limited series. This aluminium picture has been taken by a professional artist. 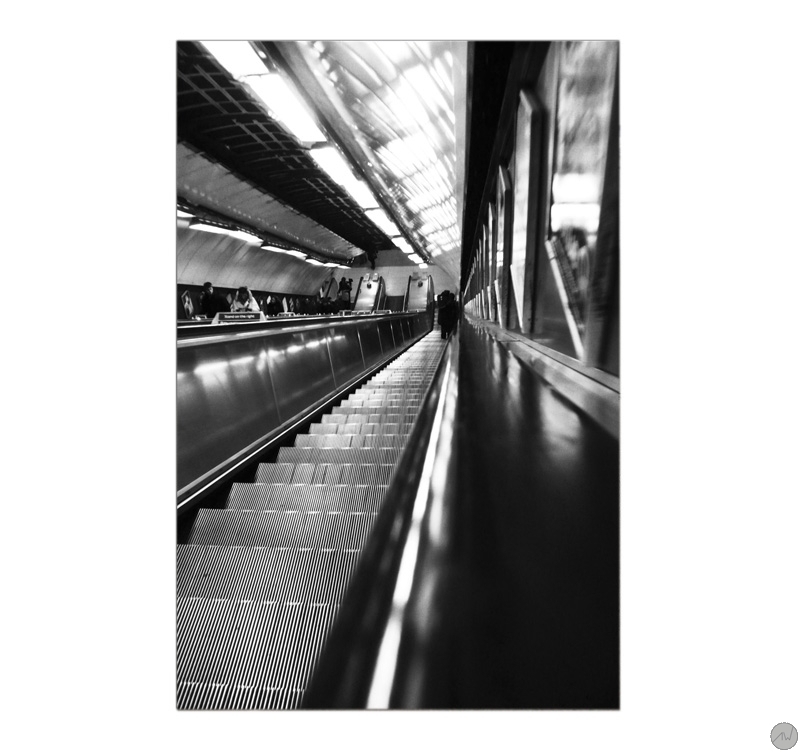 Unique lighting effects for this contemporary art photo of an escalator! 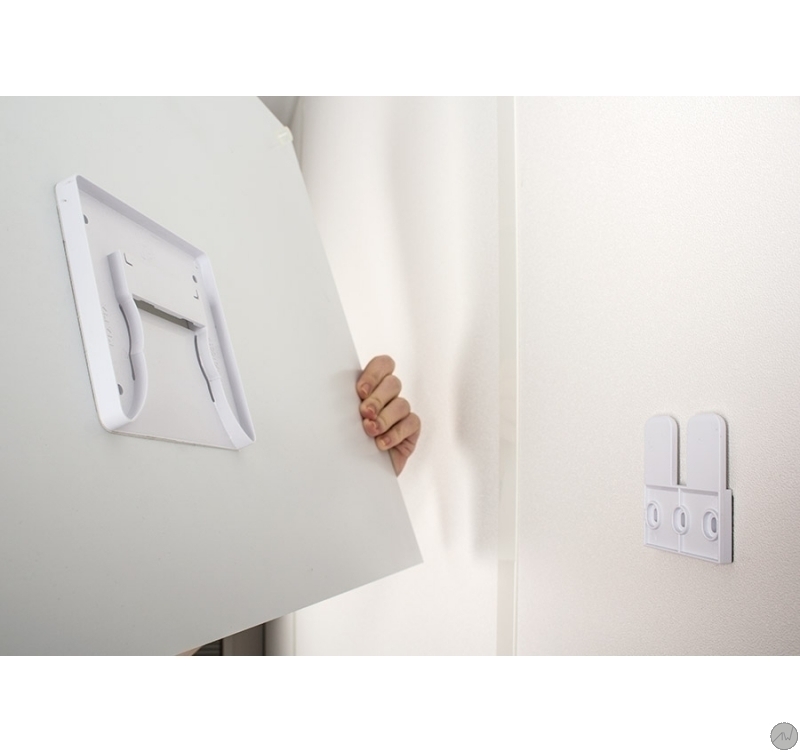 This automatic way down to the underground will bring luxury to your home decoration. This abstract picture by a professional photographer is a real artistic feat with an original viewpoint on an every day life scene. 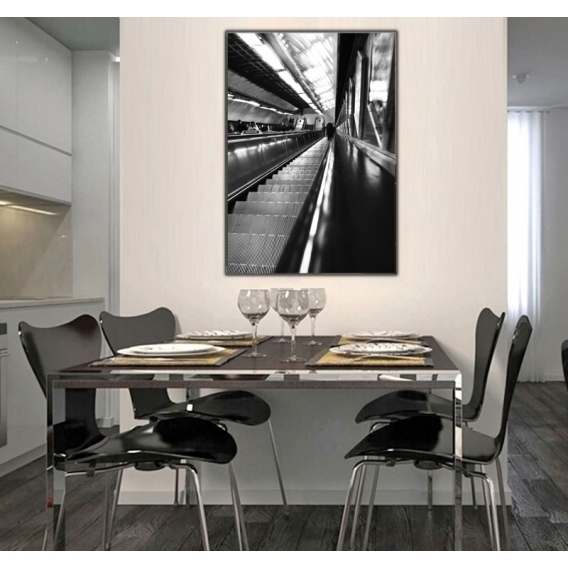 Our art photos are printed on two aluminium white-coated plates. A polythene coat is placed between the two plates. The support brings a long lasting quality to a top-of-the-range picture. Delivered with hanging system.